Most games are about progressing through levels of power to an end point which sees you taking down some larger than life threat and typically farming games follow a similar, if skewed path to that formula. You'll slowly grow your farm, increasing its potential and your access to different crops or animals as you go. 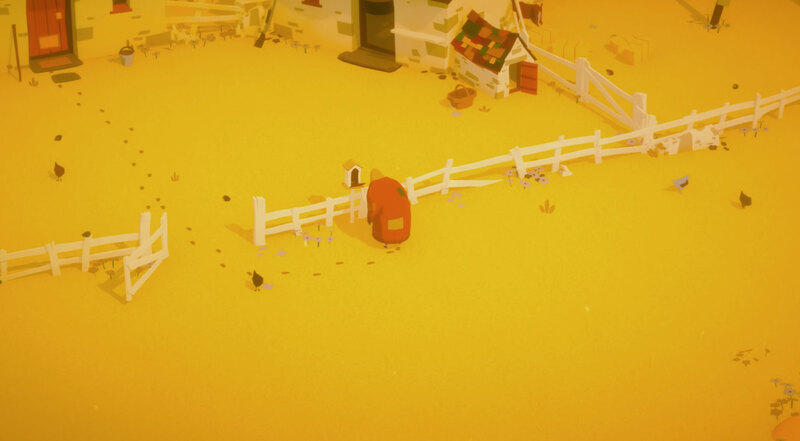 Not so with Stillness of the Wind, a charming, somewhat depressing-sounding game from Fellow Traveller, which looks to turn farming on its head. You play Talma, an ageing lady who is the last of her village's inhabitants. Everyone else has moved to the city where something wrong appears to be happening. The world may be dying and in Talma's final days she continues to do what she's always done: tending crops, looking after her goats, and subsiding on her own hard toil. It's the job of players to maintain her health and farm as long as they can, but it's in the reverse of normal game mechanics that has many fans quietly excited about the game's unique feel. Instead of expanding as time passes, Talma will be forced to make tougher and tougher decisions about maintaining her life on the farm. What begins as an open, explorable landscape becomes gradually more restrictive and dangerous. Some early review sentiments are leaking out and the response from critics appears overwhelmingly positive. If you want to take a stab at keeping Talma afloat in a degrading world, you can pick up Stillness of the Wind now on Steam, Itch.io, Nintendo Switch, or the Apple App store.